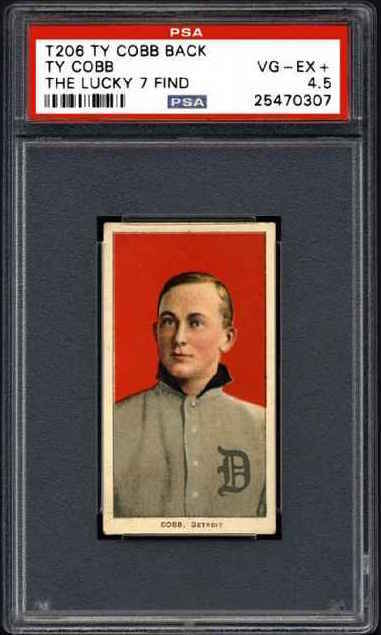 The cards with Cobb, the Hall of Fame Detroit Tigers slugger, come from a lot known as T206, the group most prized by collectors. That lot also includes the Honus Wagner card, arguably the most famous sports card ever. 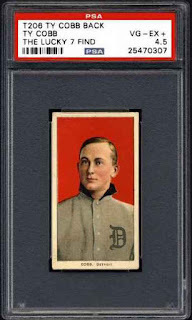 The back of the cards say "TY COBB -- KING OF THE SMOKING TOBACCO WORLD" in green ink.